Yu Chin Cheng Enterprise Co.,Ltd. 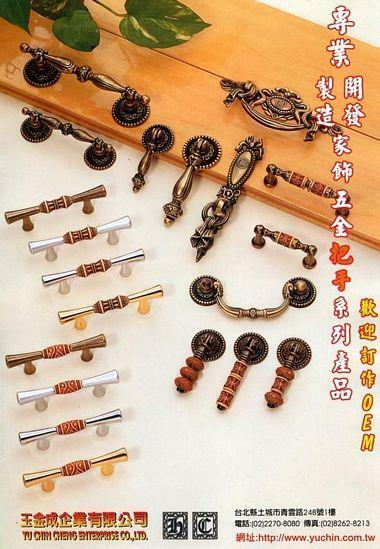 was established in 1992 and mainly produces hardware handles, knobs and accessories, for example Zinc alloy, Brass, Iron, Alluminum alloy, Acrylic, etc. OEM/ODM requests are highly welcome! We always share the best products with every single customer and keep on researching on advanced technics. It is our most important faith to provide customers with the best service & good quality. Looking forward to building up good business relationship with our esteemed customers.